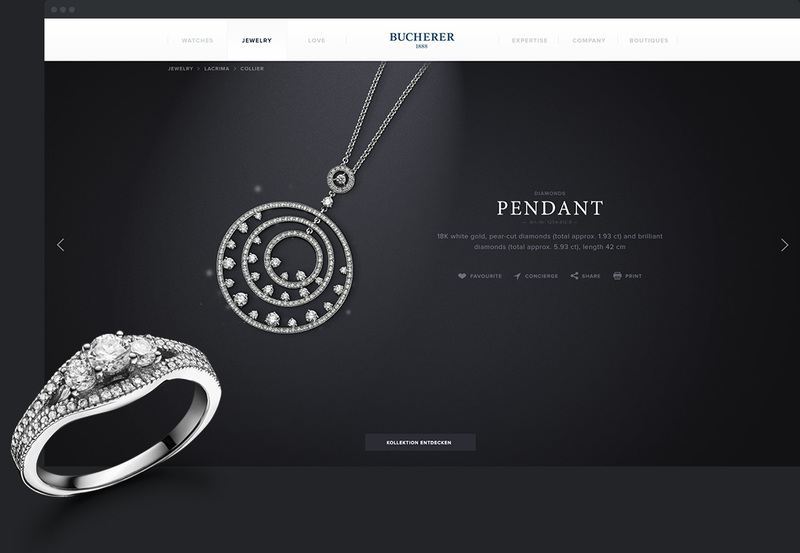 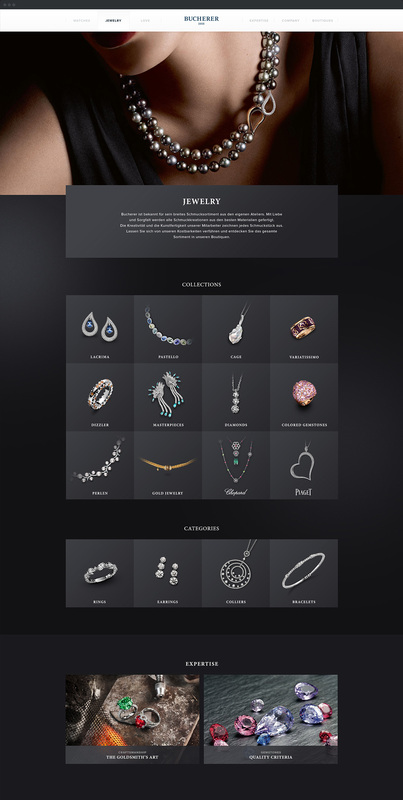 Bucherer is one of the leading specialist for luxury watches and high-quality jewelery in Europe. 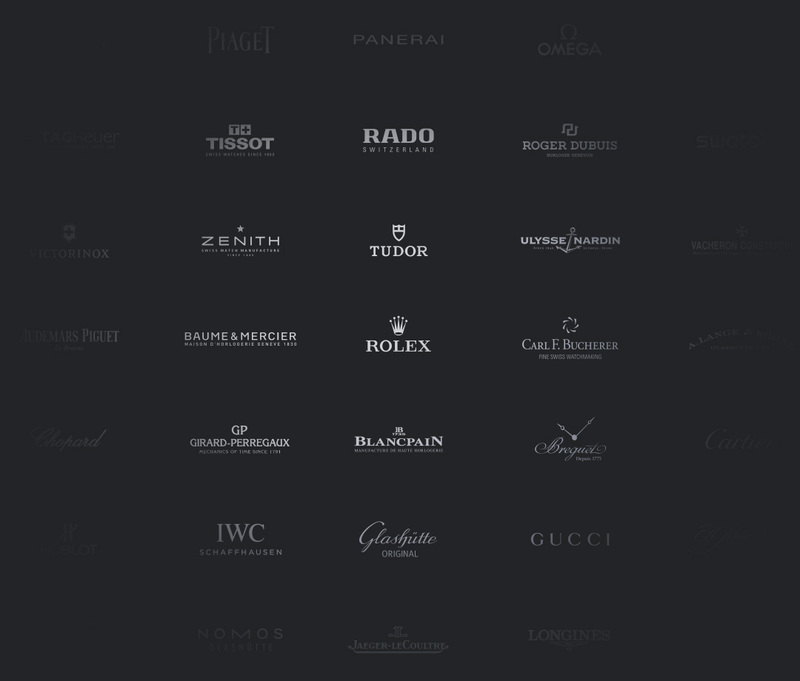 The family of Lucerne represents numerous renowned watch brands and is also well known for its world-class jewelery collections. 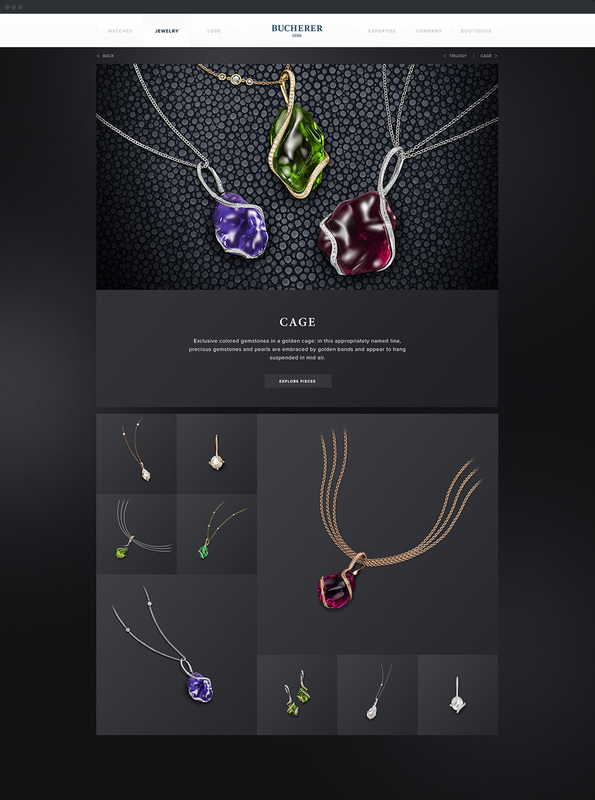 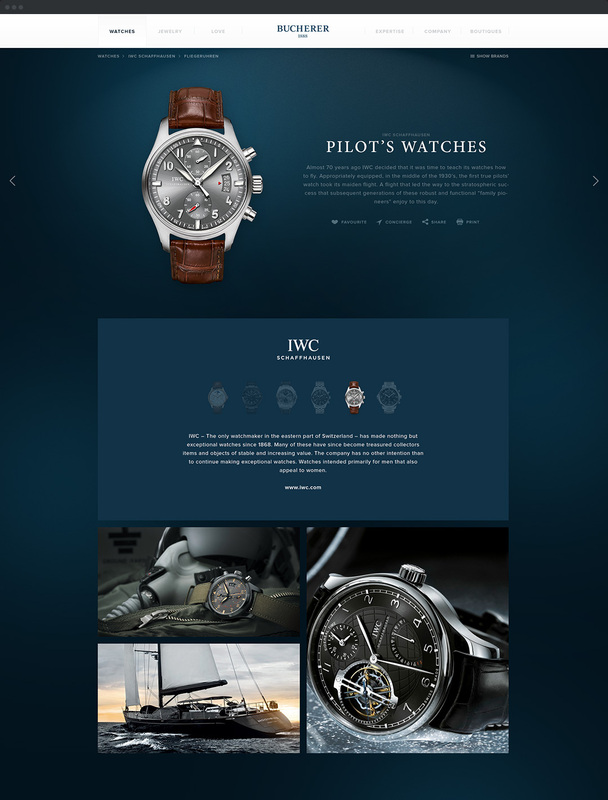 The digital agency Station, Inc. took care of the new international website of the Swiss company. 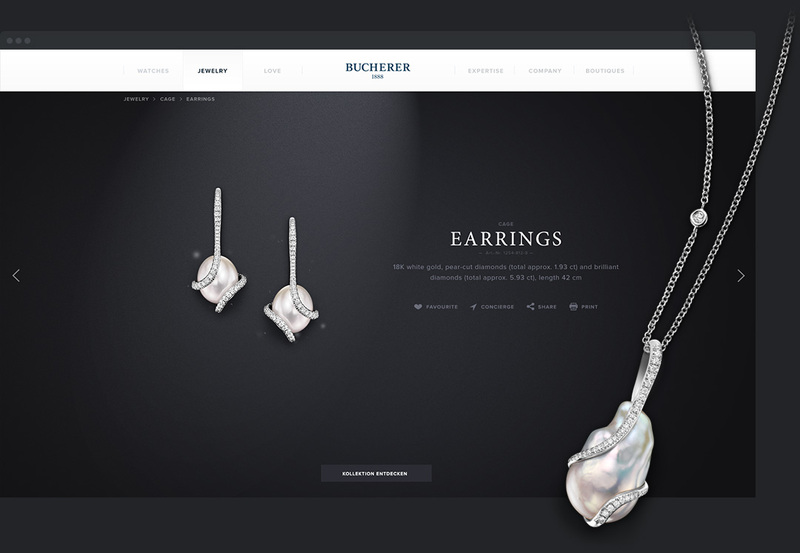 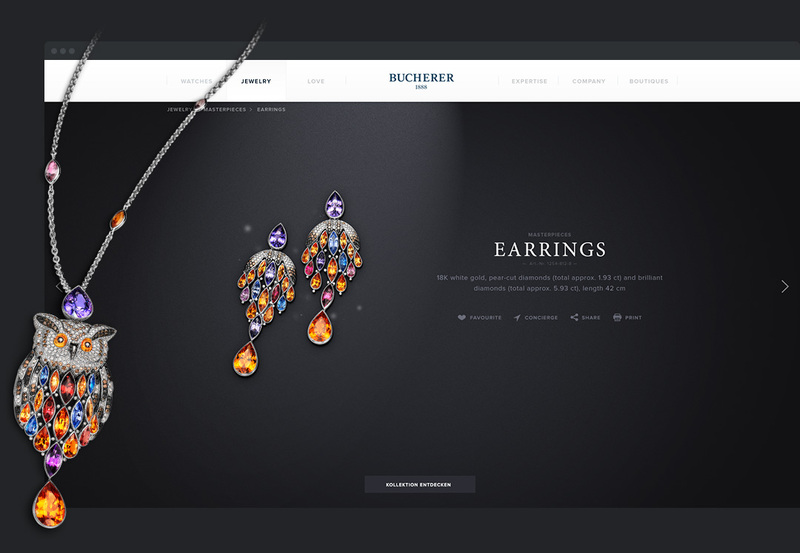 With generous photographs the new Bucherer website reinforces the exclusivity of the timepiece and provides them with his own brand pages more space. 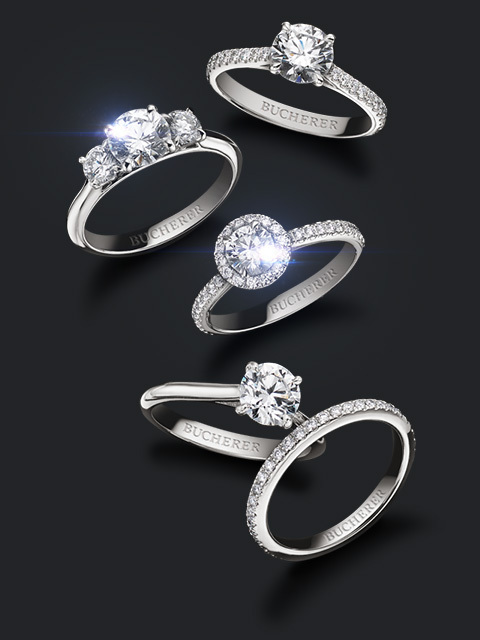 The jewels are set in seductive scene on own collection and detail pages. 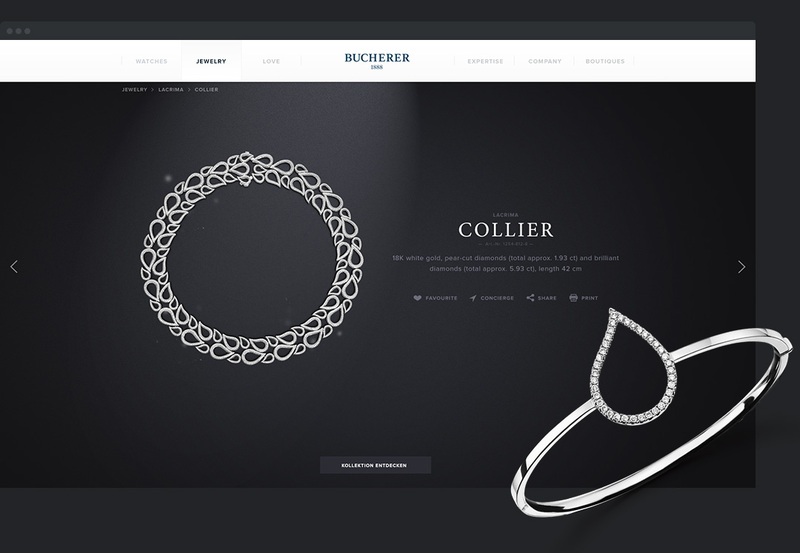 Immerse yourself in the dazzling world of Bucherer. 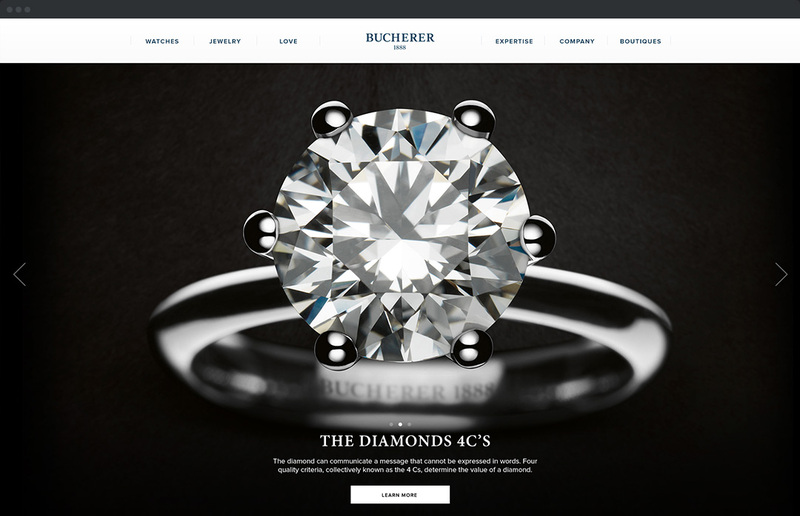 Apart from its own Carl F. Bucherer watch brand, the company represents the widest range of luxury brands in the world. 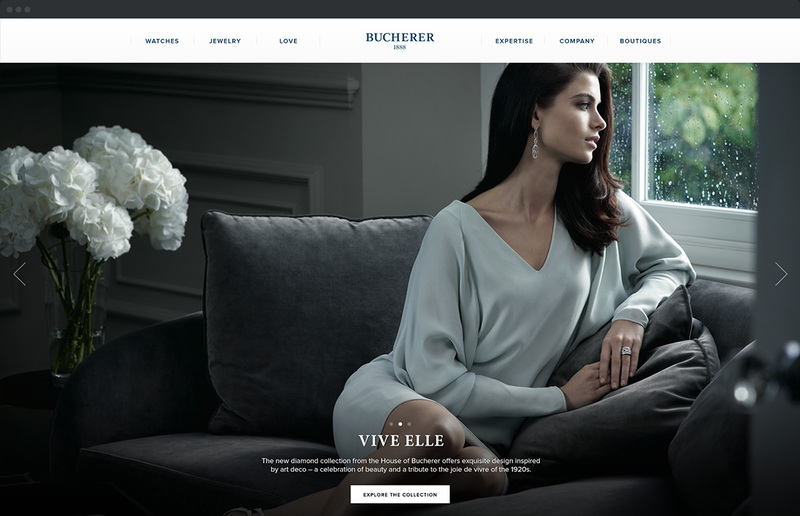 An important part is played by the new competence area: It reflects the tradition and savoir-faire of the house. 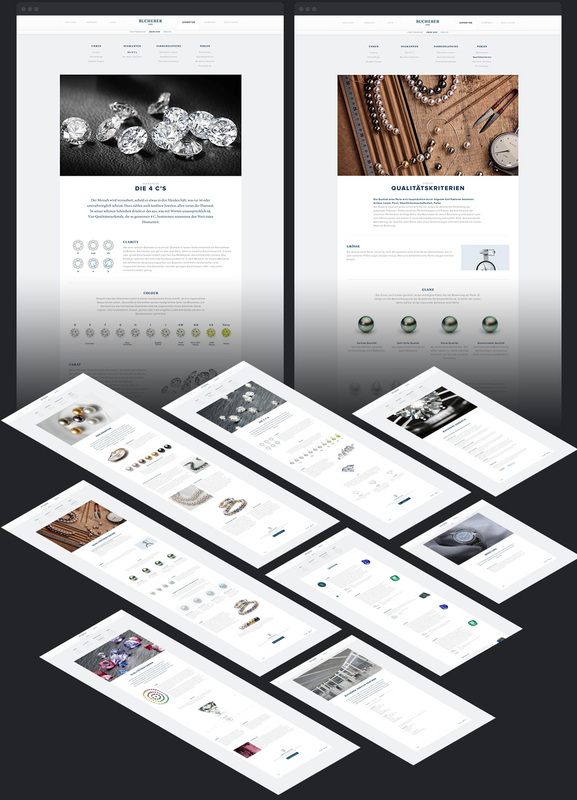 In-depth articles, visitors learn all about quality - by the quality criteria through to maintenance.